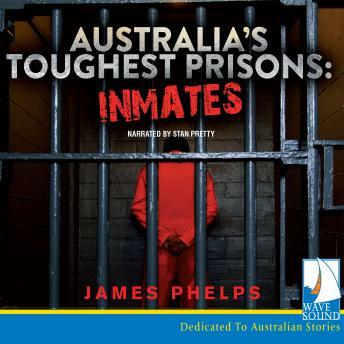 Award-winning author and journalist James Phelps profiles Australia's most notorious criminals: these are true accounts of Australia's hardest inmates, in their own words. From Martin Bryant - perpetrator of our country's worst massacre at Port Arthur twenty years ago, to alleged hitman and undisputed hardman 'Goldie,' feared by both prisoners and guards alike, Phelps tracks the rise of ISIS gangs, the lethal underground drug and tobacco trade and the threat of contraband phones. From the shiv fights and brawls to the white-collar criminal beat-downs, this is an account like never before.